AVID MotoTours has been around since 2008, owner Karen Thomson is an “old” face in the tour industry having led tours since 1998. 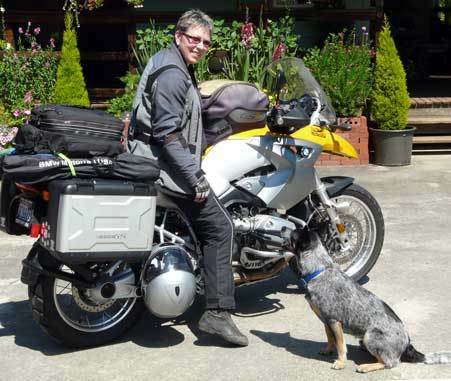 To fulfill our desire to lead people on motorcycle tours to see and experience North America and Europe, Karen Thomson has established this company. Karen has extensive experience with riding, motorcycle safety, motorcycle travel, leading manufacturers' demo rides, leading group rides and tours, and giving slideshows about them. She has lead tours with many other firms in the past, including Edelweiss Bike Travel, The American Motorcyclist Association and EagleRider. Future tours in planning include the American Southwest, the Colorado Rockies, the Alps, Central Italy and Southern Italy. Contact us if you are interested in any of these destinations.